Decoration period, is probably the most abundant knowledge in the life of the time period, the hands of the budget table, thinking of the ' wall paint should choose which ', ' which product environmental protection ', ' performance how ' and so on, looking at a bunch of product information, can be in the mind or not, after all, wall decoration problems, but will endanger the life . Today we brought the Albenan of the white Snow Mountain assessment, together to see it! 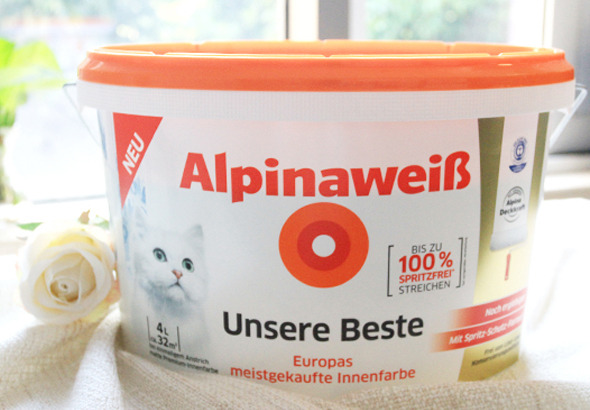 This Albenan bai Snow White wall paint packaging using white plastic material, is ellipsoidal, the product front labeled brand name, barrel body color to white and bright eye of the orange-based color, with cute white cat pattern, the overall to people fresh, full of vitality feeling. 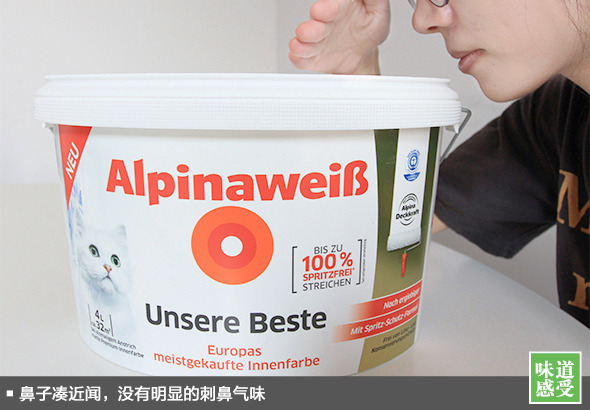 From the barrel can be learned that Albenan Bai Snow White A lot of information, such as product description, construction applications, etc., have a clear explanation. Of course, we can also know that the origin of this wall paint is Germany. 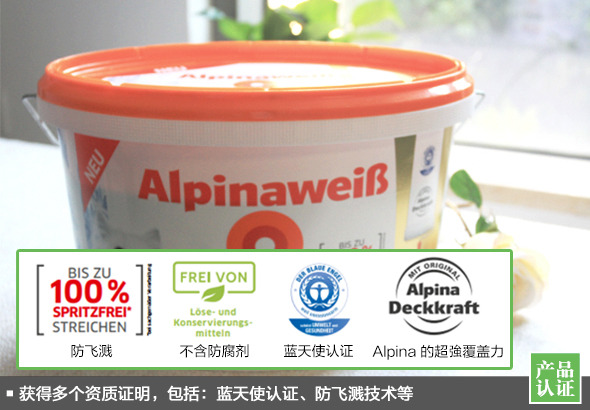 In addition, this Albena coating is also anti-splash, preservative-free certification, and in September 2017 received Stiftung Warentest GUT (1,6) free of harmful wall paint test champion. 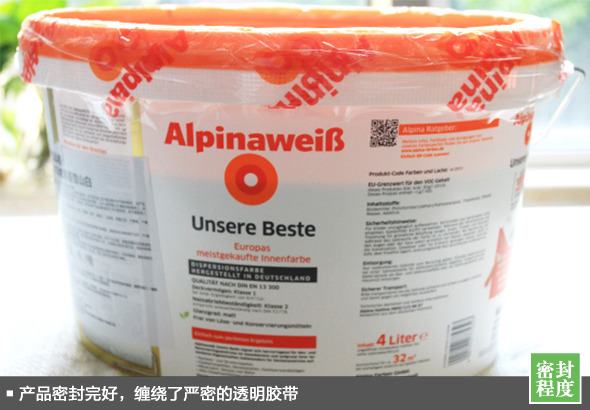 Open can experience Before opening the can, we must check that the paint is not well-sealed, to ensure that the packaging is non-destructive, the lid tightly compacted, not damaged traces. This Albenan bai Snow White in the original sealed intact under the premise, but also winding a few laps of tight tape, to ensure that the paint transport foolproof. 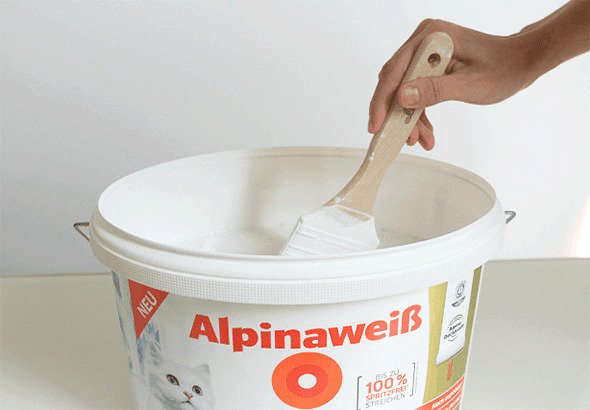 Remove the transparent tape, gently pull the plastic sheet on the lid of the bucket, you can open the paint for brushing. 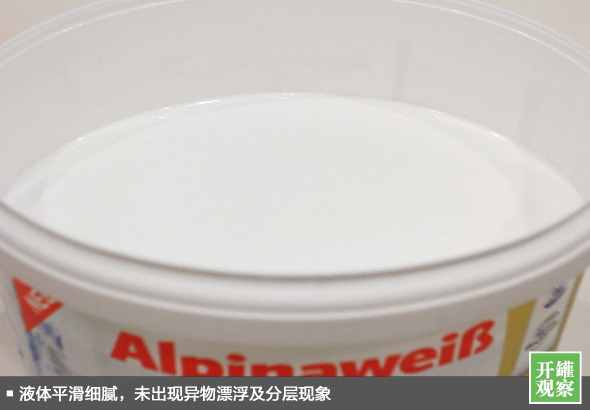 Open the paint, you can observe this Albenan white snow mountain without foreign bodies floating, we can see the texture thick, smooth and delicate, color uniform white liquid, color is very positive, very pure. Take a closer nose to smell this paint, and do not smell any obvious pungent odor, even in the indoor environment, also did not appear unwell feeling. Slowly stirred with a brush, stirring process did not appear caking, the brush is lifted to observe, the paint continuous, uninterrupted downward slide, indicating that it has a good leveling. This paint looks good, so what's its performance? We use black-and-white lattice paper to cover the Albenan of the white snow, in the cardboard, brushing, observe from top to bottom paint cover thickness, whether uniform, you can find that the cardboard has not seen the black lattice, and other paint completely dry after observation, still completely covered not onto something. 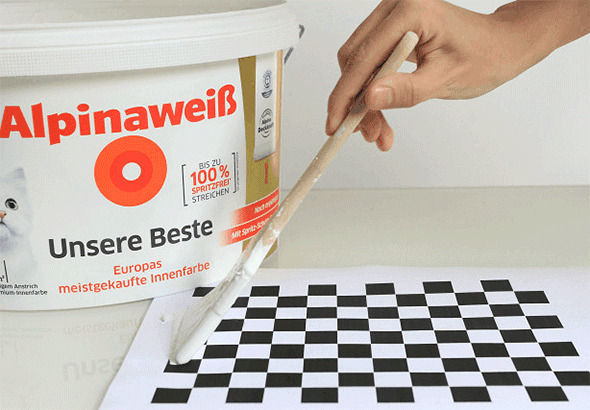 White Wall is the highest acceptance of the color, but also very easy to dirty, for this we have done a stain resistance test, paint on board coating, such as paint completely dry, on the board left the stain of tomato paste, try to use a damp cloth can be wiped clean. The tomato paste on the board has basically been wiped clean, which means it is still quite anti-fouling, if we accidentally left stains on the wall, we do not have to worry about wiping off. Since our anti-fouling performance has been recognized, how about the other aspects? Let's continue with the test! 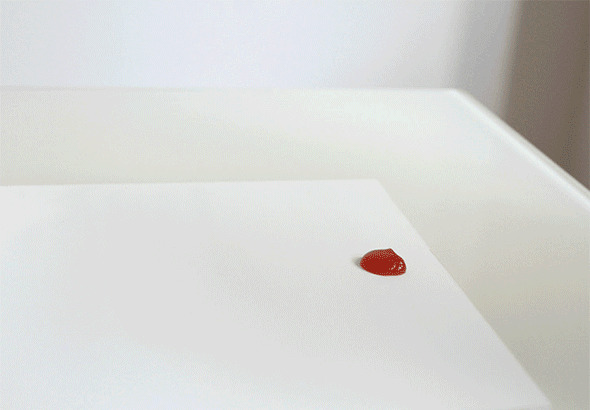 Finish the stain resistance test, of course, to try this paint can withstand our daily scrub stains! With 1 pieces of dark color of the wet cloth to scrub the paint surface, and to observe, the paint surface is almost invisible to the naked eye, rag on the powder, excellent scrub performance. Water Blocking performance test Annoying rainy weather and back to the south days of humid you must have experience, if the wall paint selection is not good, wall experience because of the damp and mildew, peeling phenomenon, therefore, wall paint water blocking performance is very important, but it is easy to be ignored. 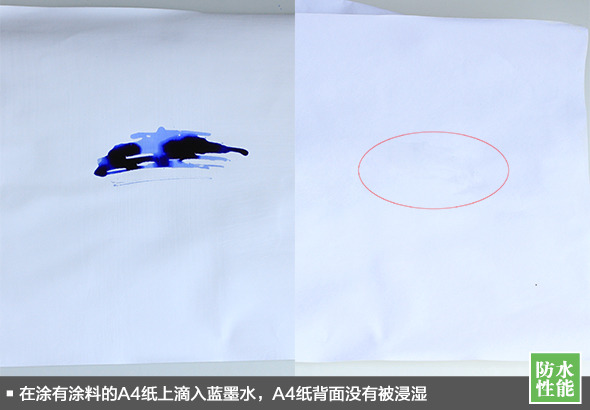 We paint on A4 paper Albenan Bai Snow White wall lacquer, to be A4 paper drying, drip on blue ink, observe A4 paper back is soaked, the result is also very surprising, A4 some small marks on the paper, but not soaked. Unique Formula anti-spatter Brushing process in the paint splashing problem troubled many people, a drop of paint from the brush to the ground, stained with other building materials, if not cleaned up in time, will leave a white mark. 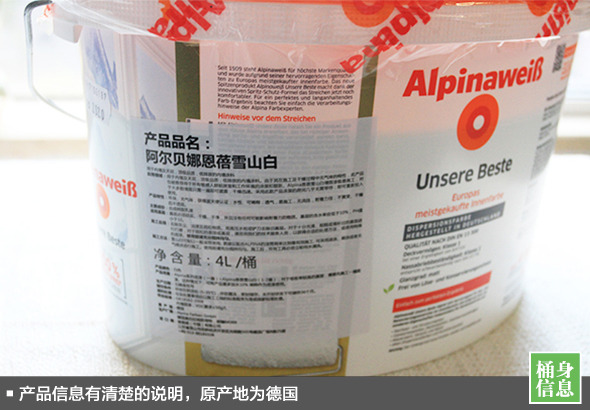 Albenan Bai Snow White wall paint on the formula has been adjusted to enhance the viscosity of the coating, can effectively prevent paint spills and spills, reduce the construction site of pollution and the waste of the material itself, with Alpina unique anti-spatter drum is a powerful combination. Environmental testing Thump thump thump thump! Finally came to the heavy weight of the formaldehyde test link! First of all, we first on the empty box in the initial environment of formaldehyde content detection, formaldehyde tester shows the value of 0.01mg/m³, which is the lowest value of this instrument. Next, we will be coated with Albenan white snow-capped acrylic plate and tester, put into the transparent sealed box 50x50x50cm, wait 12 hours after what will happen. 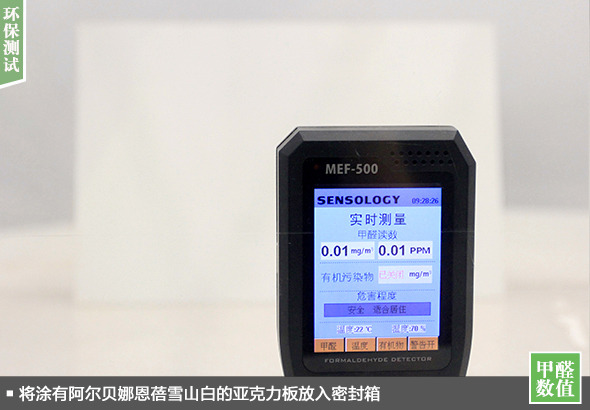 According to the indoor air quality standard established by the Ministry of Health, the requirement for formaldehyde content is closed doors and windows for 12 hours, formaldehyde content ≤0.1mg/m³ only calculate the target. 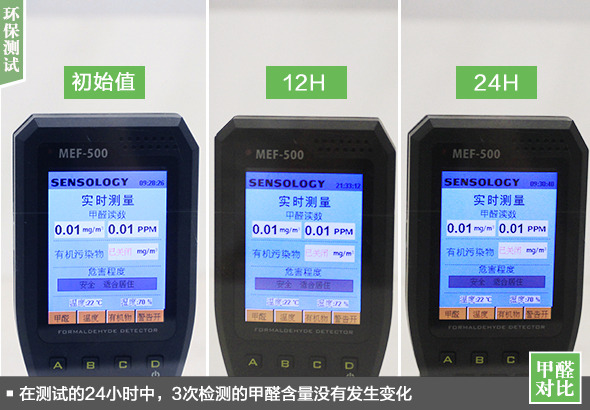 We use the formaldehyde tester to detect the formaldehyde content in the box, the test results at several times to reach the minimum value of 0.01mg/m³ testing equipment, far lower than the standards set by the Ministry of Health.